Hey Mom, if you live as long as your great grandfather, you’ve got another fifty to go! 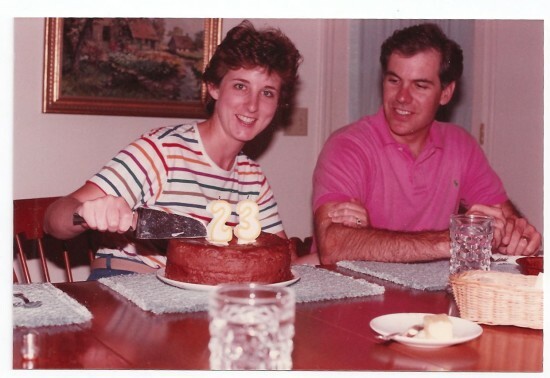 My mom on her 23rd birthday, with my dad, in 1983. To Mom: Happy birthday! Thank you for your never-ending support and bottomless love. You’re a incredibly hard working, dedicated, loving woman, and I’m proud to call you my mother. You’re the best, Mom, and I hope you have a wonderful birthday. You deserve it!